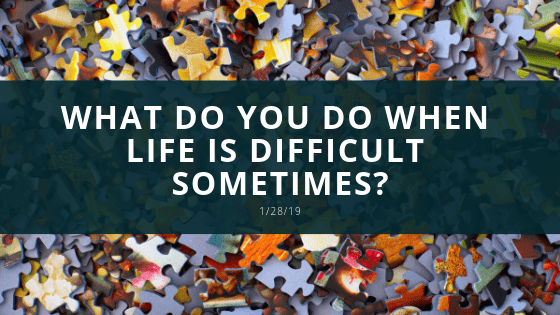 Everyone experiences a difficult moment at some point in their lives. Some may learn to deal with those situations while others don't due to lack of information. There are many ways that can help anyone overcome these negative experiences. Drastic changes may take longer for others to deal with, and some may be able to adapt. People in wheelchairs may face an emotional experience at some point. You may be questioning why you can't you do things that others can or why has this happened to you. It may seem like the end of the world for many, but eventually many learn to see the bright side of situations that will help them live their life to the fullest. Wheelchair users may face with two types of drastic change, emotional and physical. These two types of changes are dealt with in different ways and may have different effects on someone. Yet, they often go hand in hand. Negative emotional changes that may make you feel that you are experiencing the worst of life can be dealt with by first getting informed. Try to understand what it is that you are feeling. Is it anger, sadness, or jealousy? Asking this can start to help because you can begin to find acceptance and understand the best way to deal with these feelings. As one analyzes these emotions, you become aware of the things that may have triggered your emotional state. Perhaps you may have experienced feelings of exclusion and belittlement, addressed inappropriately, or questioned by others about their abilities. There are many different methods that may help you overcome different situations. Writing in a journal is an extraordinary way to let emotions out in a healthy way. This method can serve as a reference when you have faced a certain situation more than once. It will help you realize that these moments are temporary. You have the ability to overcome these negative emotions. Another method that is useful to try is talking to a trusted friend. This can help alleviate bottled up emotions and get an outside perspective that can help improve the situation. Meditation can also be beneficial. Or, you can distract yourself with activities that you enjoy doing. Physical exercises such as sports or yoga can help ease your mind and your body during stressful times. Physical changes are usually easier to overcome because there are different ways to find solutions for even the most difficult task. Finding the best ways to complete day to day tasks can give you a strong feeling of accomplishment. The use of wheelchairs has improved millions of lives giving independence and helping create a comfortable life. There are many things one can still do and most importantly accomplish even with physical differentiation.